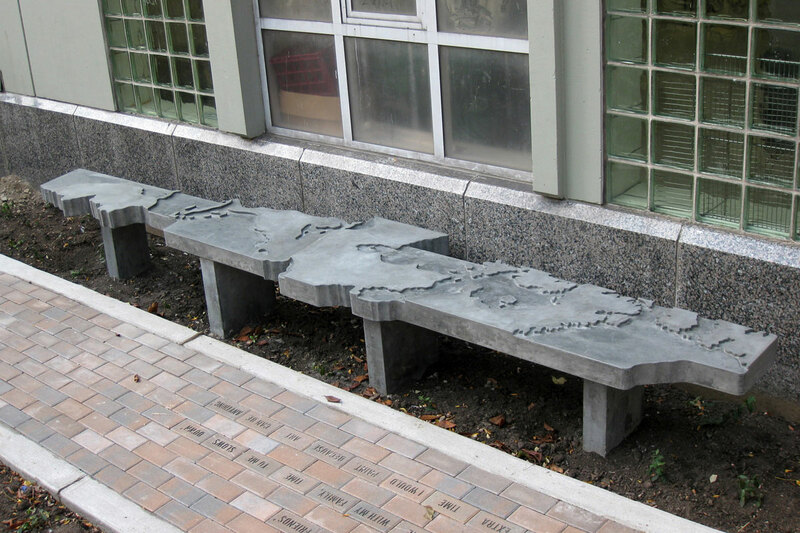 Bench made in the shape of the Eastern Standard Time Zone, the time zone of the location where the bench is installed, at Public School 173 in New York City. 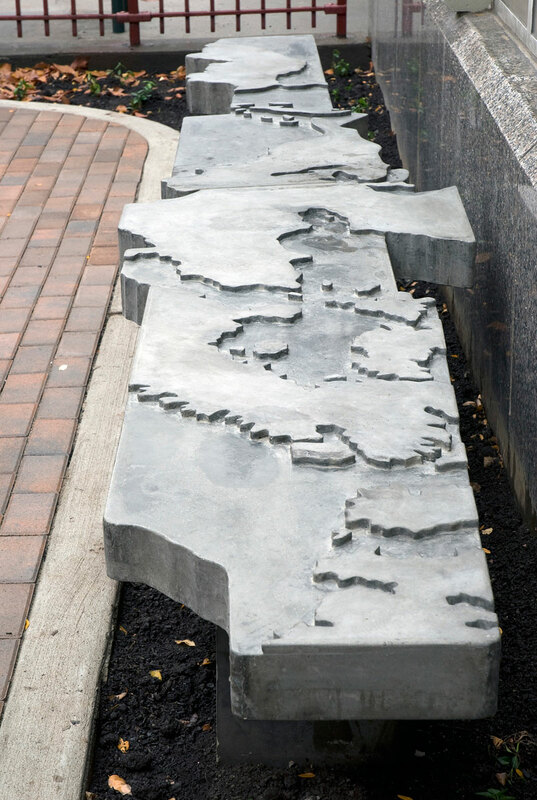 Commissioned by the Trust for Public Land as part of the City Spaces Program in New York City. 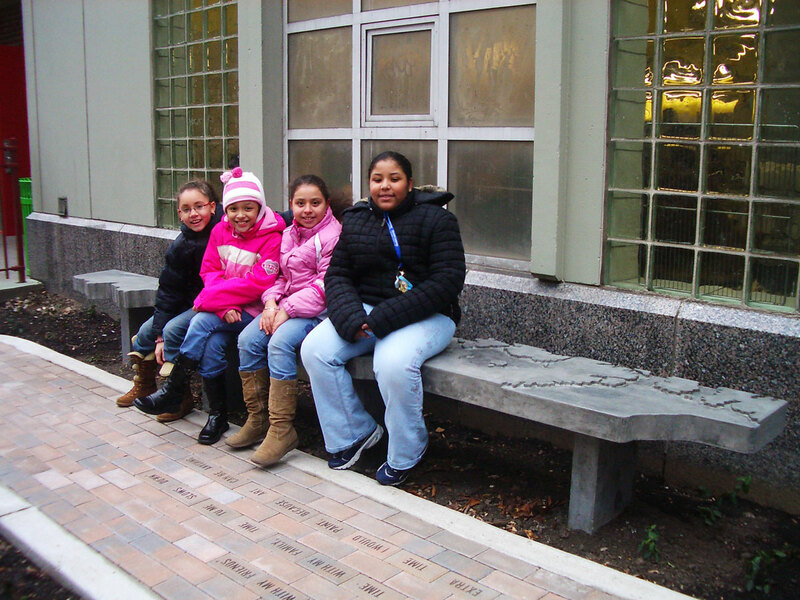 As a part of the project, workshops were done with some of the students of P.S. 173, in which they made sculptures and drawings and wrote descriptions about what time meant to them. 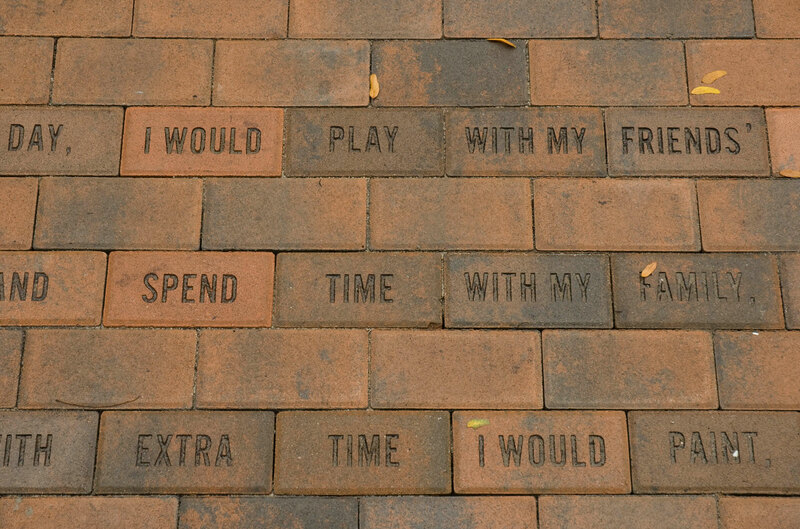 Some of the responses of the students to the question, “How would you spend your time if you had an extra hour in the day?” were etched into the paving stones placed at the foot of the bench.